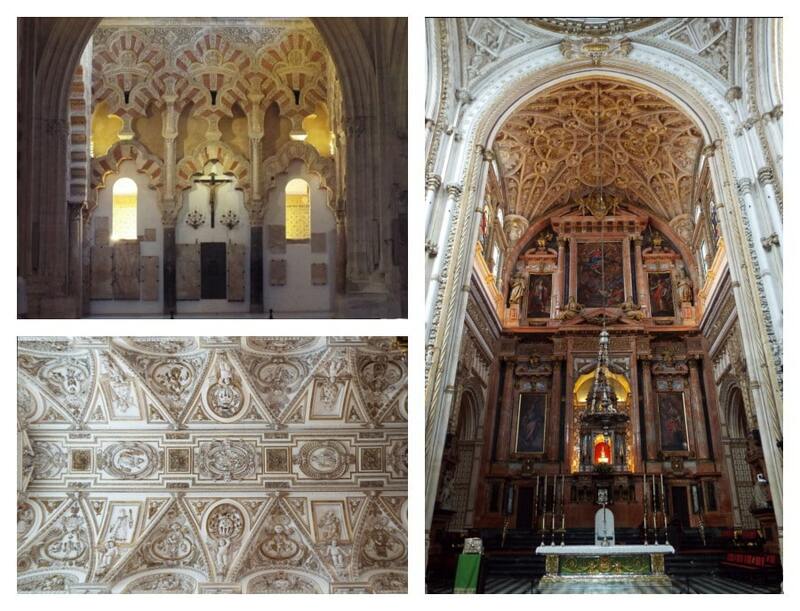 Granada & Cordoba: our first days in Andalusia! Andalusia: the most southern region of Spain, the birthplace of tapas and flamenco. A region filled with memories from its Islamic past, known in summer for its beaches along the coast and extreme temperatures. With these premises we decide to explore the region at the end of July, focusing on the inland cities of Granada, Cordoba, and Sevilla… sometimes we are that crazy! 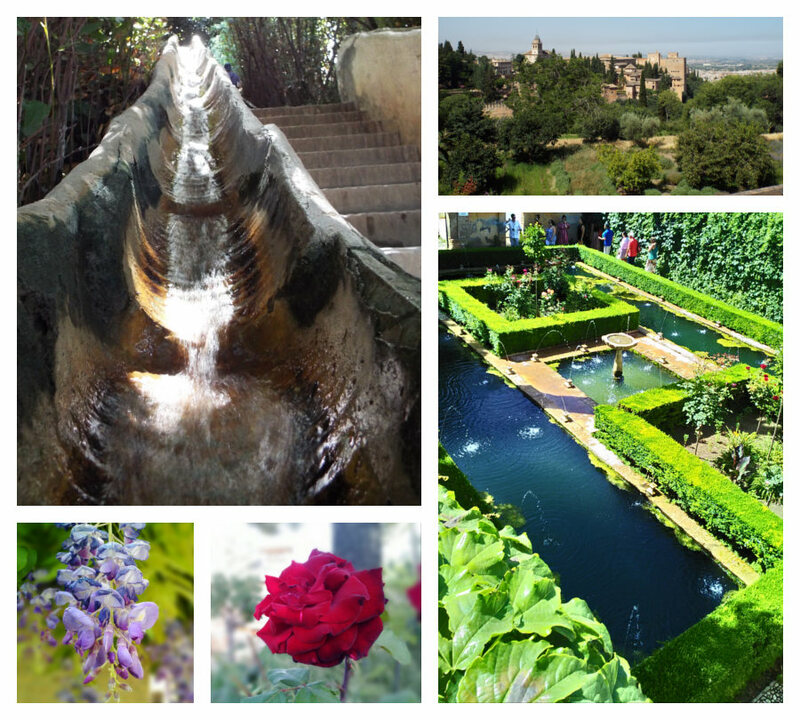 Granada is mainly known for the Alhambra, the palace and fortress overlooking the city. It is composed by several buildings, from different periods. Most of the buildings, like the old fortress of the Alcazaba or the annexed Generalife gardens and palace, are accessible all day long. 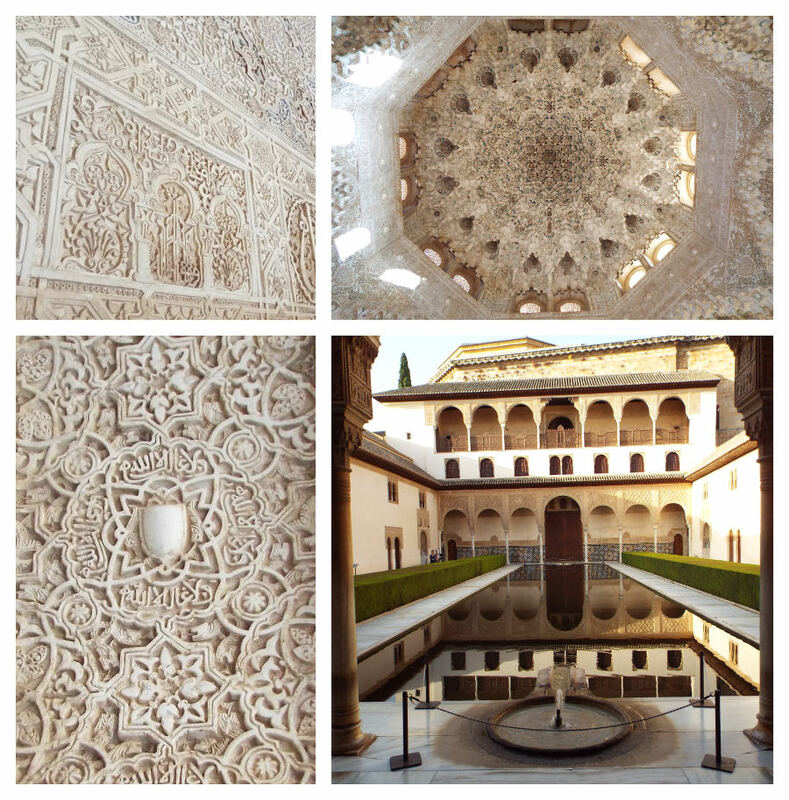 The only exception is the Palacio Nazaries, the finest representation of Hispano-Islamic art and architecture. Due to the limited amount of people allowed inside, you can enter the palace only at the assigned hour. It is therefore better to book the visit a looong time before, to be sure to visit the most magnificent building of all the complex. We did it online, three months before our trip. To escape the heat of the central hours of the day, we decided to book a slot at the opening, which also allowed us to enjoy the palace surrounded by less tourists… And it is absolutely amazing! The white plaster walls are carved with geometrical and nature inspired motives. The sentence “There is no victor but God” is repeated everywhere among these carving. The ceilings of the rooms, illuminated by carefully positioned windows, are decorated with stars motives and stalactites. Water plays an important decorative role through fountains and ponds. Columns and arches are decorated as well, you could spend hours looking at all the details! The patio de los leones of the Palacio Nazaries. One room after the other, we are more and more amazed… The most famous of the differents courtyards we pass is the patio de los leones. It takes its name from the twelve lions supporting the central fountain and it is surrounded by 124 decorated marble columns. The Generalife gardens inside the complex of the Alhambra. Starting with the most impressive part of the complex can be a double-edged sword. Still, the gardens, between flowers and fountains, offered a very nice walk. We really enjoyed walking up the water stairway! 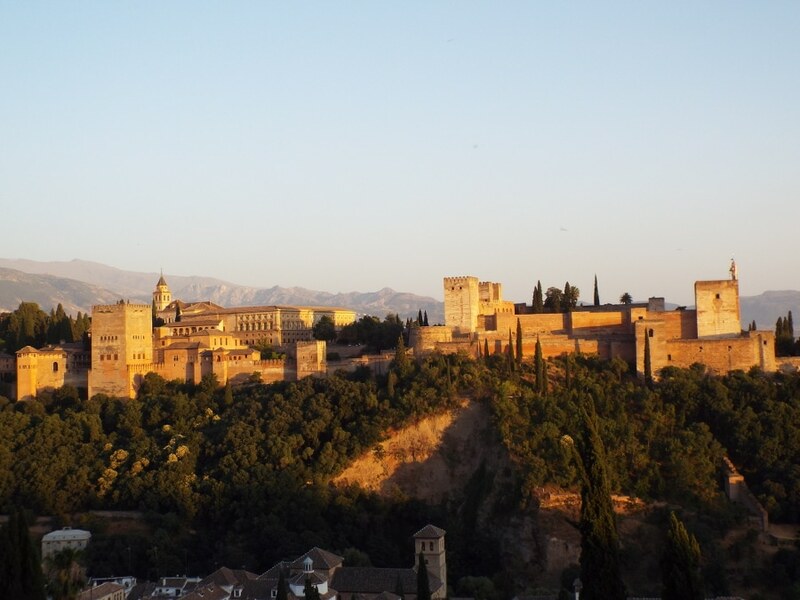 Alhambra means “the red one” in arab, name that really takes a meaning at sunset. Some hours before sunset we got lost in the small streets of the old Arab quarter, the Albaicin. We arrived at the Mirador San Nicolas exactly at sundown. From here we could see the walls of the complex turning red, little by little until darkness… really beautiful. From the culinary point of view Granada, like all Andalusia, and probably all Spain, is famous for the tapas. What is different from other cities, is that here bars often offer a tapa for every beverage taken… And they are neither small nor bad! We were surprised also by the variety: albondigas (meatballs), potatoes, lomo (pork tenderloin), and more! 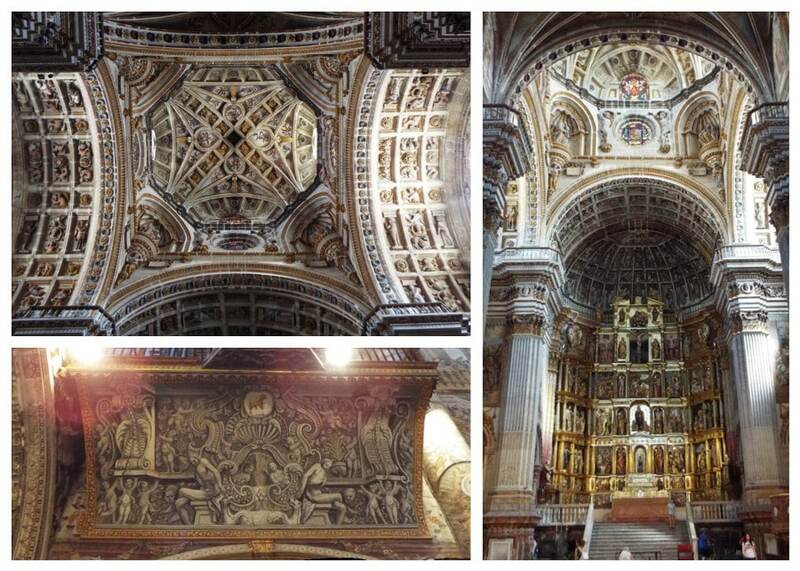 In the city centre, apart from the big Cathedral, another smaller site that is worth visiting is the monastery of San Jeronimo. It has a nice cloister, but the best part of the visit is the church, small but richly decorated. 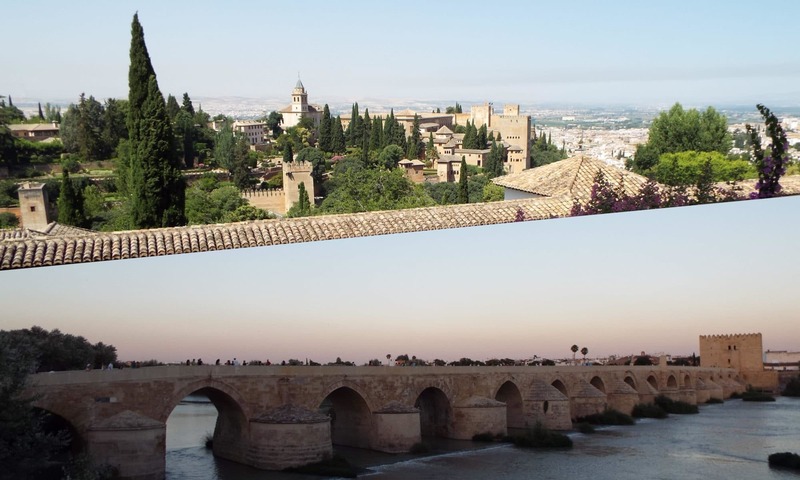 We leave Granada to reach Cordoba, the city of the small streets of the Jew Quarter, the roman bridge over the river Guadalquivir, and where king Felipe II ordered the creation of the famous Andalusian horse breed. 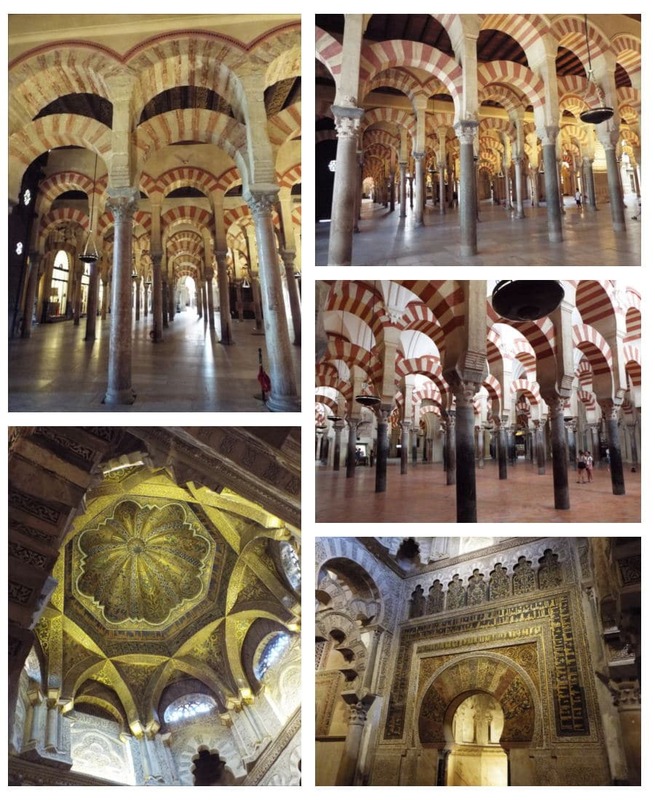 The main attraction in Cordoba is surely the Mosque-Cathedral. From the name it may seems that it is a place of cult for both religions, but the story is quite different. The mosque was built, through four different extensions, over an old Visigothic church. After the Reconquista (reconquest of all Spain by the Christian kings) it was converted in a Catholic church. Many chapels were added in the interior and a Renaissance cathedral nave was built in the middle of the structure. In any case what really captures the eye is the forest of columns inside the building: 856 arranged in 19 rows, surmounted by double arches. The columns are made with different materials and styles. You can really lose yourself, walking among them! And at the very back, the Mihrab, in the direction of which the muslims prayed, richly decorated with golden writings and motives. The last step of our holidays brings us to the capital of Andalusia, Sevilla, but that will be in our next post! To not lose any of our adventures, subscribe to our newsletter! Bon début la fréquence va t elle être journalière ? Previous PostPrevious Camino de Santiago: one week from Irun to Guernica! 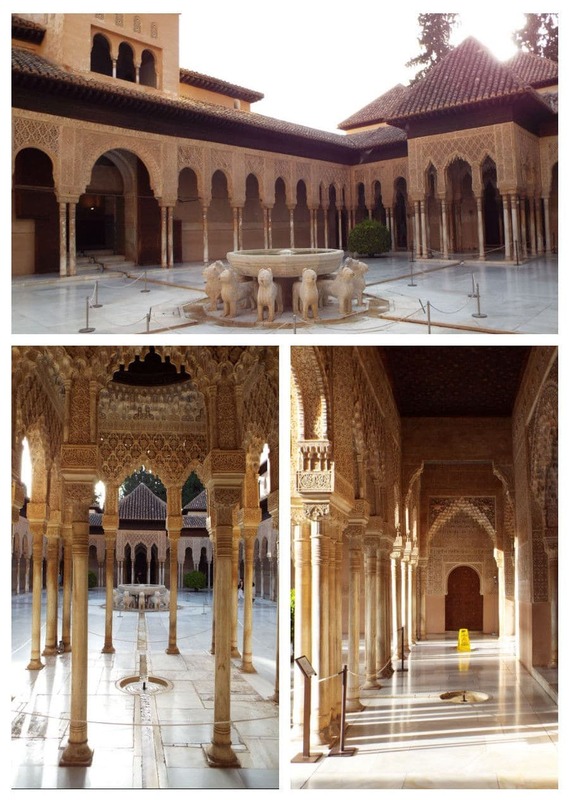 Next PostNext Sevilla: the end of our Andalusian adventure!